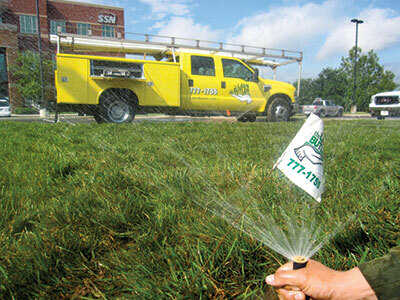 Lawn Butler leverages its conservative, debt-free philosophy for steady growth. Zero-debt disciples say your home’s grass feels better under your feet once your mortgage is paid off. There is something to the emotional and psychological effects of having no debt—or in Seth Kehne’s case—running a debt-free company. You sleep easier at night. You make better long-term decisions. Essentially, you’re free. There are drawbacks, too, and Kehne can list them for you, one by one. Though he knows this philosophy has its critics, he says it has been a solid way to run his $4.6 million, full-service business, which employs about 50 people. Kehne says he believes this low-risk approach has put Lawn Butler on a path to reap the rewards of providing great service for his clients and growth opportunities for his employees. Kehne grew up in a home that followed the advice “you don’t buy something unless you have the money to pay for it.” He stumbled into running a debt-free company when he bought an Exmark mower his senior year in high school, put a trailer hitch on his hand-me-down 1983 Caprice Classic station wagon and picked up 12 mowing customers. His plan was to mow lawns to make it through college with no debt and plenty of spending money. “The irony was I ended up having very little spending money because most of the money I made I put right back into the company,” he says. 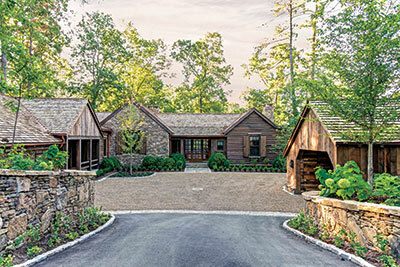 Kehne intended to go into financial planning or banking, but when he graduated from the University of Tennessee, he had built up a nice, growing business. He was enjoying himself, so he kept at it. Still, he wasn’t sure about making Lawn Butler his career, so he chose not to take on any business debt after college. As the company has grown, Kehne’s reason for remaining debt-free has changed. Some critics would say he could grow more or faster by borrowing, but he’s comfortable with the company’s steady growth rate. 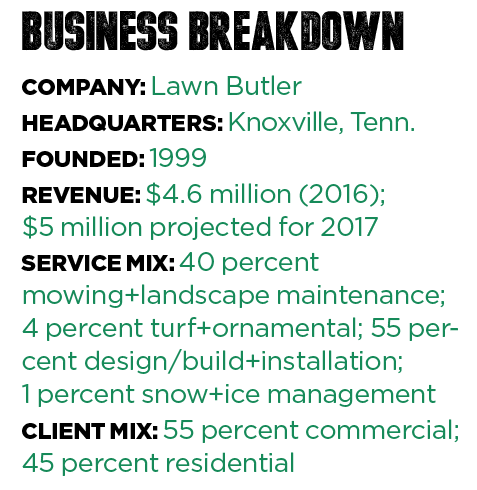 Lawn Butler, which tripled in size over the last five years, has grown a minimum of 10 percent growth per year. “Last year we were at 28 percent growth, which is a little bit more than we liked,” he says, adding that it’s difficult to grow that much in one year. He’s budgeting for just under 10 percent this year. There is also a spiritual component at play for Kehne, who identifies as an evangelical Christian. 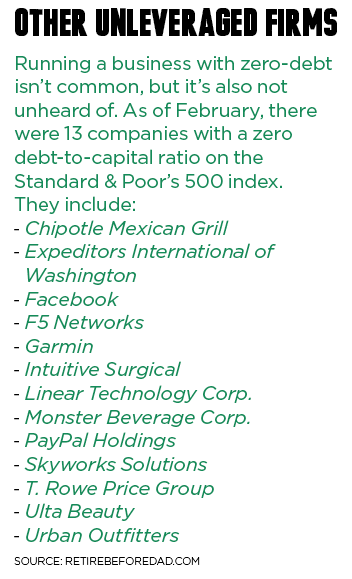 He says he doesn’t believe debt is wrong or a sin—he has a personal mortgage on the company’s facility, for example. But he notes every reference to debt in the Bible is negative or has negative consequences. Until last year, Lawn Butler always had a low experience modification factor, or mod, for its workers’ comp. The management team was determined to change that, starting with a mandatory safety meeting every Tuesday morning. It’s anywhere from 15-45 minutes, depending on the topics, which are taught by managers. New hires also go through the Greenius video safety training program and Lawn Butler’s internal safety PowerPoint, which includes 125 “pain points” that either have happened or almost have happened at the company. To squash any texting-while-driving risks, Lawn Butler also implemented a simple cell phone policy: Drivers may not have a phone in their hand while driving. “It just takes the gray area out of it that ‘I was looking at GPS’ or whatever,’” Kehne says. The company has mounted tablets in its trucks for GPS and its software system, including time-tracking functions. Due to its stepped-up safety efforts, Lawn Butler’s mod went up, but its premium didn’t increase. Kehne is aware that debt is a sensitive topic. In fact, he says other business owners often vocally disagree with him about his approach. Kehne agrees there are many reasons not to take a zero-debt approach, and that it’s not for everyone. In fact, he can imagine a time when he might choose to take on debt. For instance, he would consider borrowing if he ever decided to enter a new market via acquisition or otherwise. Cash flow can be tight, too, he says. There were many years when he didn’t cash his own paychecks through the winter and early spring. “It would be the end of March or April, and I would run to the bank and deposit three months’ worth of paychecks,” he says. Problems like these are less of a concern now that Lawn Butler has matured and put into place some steps to mitigate them. For example, the company uses a rolling budget implemented with the help of consultant Jeffrey Scott. Kehne and his management team—which includes five account managers, two operations managers, a fleet manager, a marketing manager, an office manager and a controller—to review the company’s budget every month and plan for the next month. Managers also go on a two-day annual retreat to fine-tune the next year’s budget and discuss upcoming equipment needs, among other things. From a financial standpoint, Lawn Butler depreciates its assets, even though they’re already paid for. For example, the company budgets and charges for equipment each month, so it has the ability to replace the equipment. Additional trucks or machines needed for growth come out of the company’s income, which can cause a crunch. Kehne says it forces the company to focus on making a healthy profit on every job. “We try not to do charity work except for charities,” Kehne says of the company’s focus on capturing revenue for all the work it does. Additionally, Lawn Butler now requires minimums and multiple services for maintenance work (it won’t just mow for a client), it’s shedding clients who don’t pay well or on time and Kehne declines to bid on any jobs where the clients are seeking more than three bids. Over the last few years, Kehne has focused on making Lawn Butler a place that people want to come work. Recruiting and retaining workers is a top challenge for the company, like it is for many landscape firms. Lawn Butler dabbled in the H-2B visa program last year, but Kehne didn’t like its uncertainty, so he opted not to go that route again in 2017. Instead, his team is concentrating on building a great workplace. For example, Lawn Butler set up “career ladders” so employees can map out their opportunities with the company and see what it takes in terms of training, experience or education to get a raise or promotion. He says his rule of thumb is you should enjoy your job at least three and a half out of five days a week. If you don’t, you should get another job. It sounds unorthodox, but Kehne says it doesn’t make sense long-term to keep unhappy people around. Not surprisingly, part of the company’s recruiting and retention strategy centers on the company’s financial position. You might picture a debt-free company to be driving around old trucks, running beat-up equipment or falling behind the technology curve, but that’s not the case for Lawn Butler. Kehne buys new equipment, typically for less than $10,000, and next-to-new vehicles. “Many times we buy trucks with 1,000-20,000 miles that have depreciated 20-35 percent,” says the self-proclaimed “equipment junky,” adding that paying cash allows him to take advantage of deals that don’t last. Soon after he acquires a vehicle, Kehne has it painted bright yellow, which is another investment. 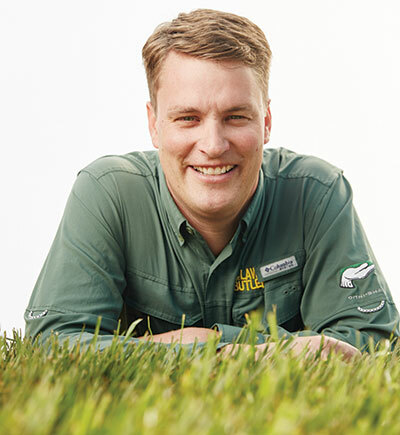 In recent years, Lawn Butler has switched to propane mowers, added a new software system and implemented GPS tracking—all of which Kehne says are long-term investments that benefit customers and play into his low-risk approach. After outgrowing its old software, Lawn Butler switched to Aspire, which Kehne says has been vital in ensuring the company doesn’t take shortcuts on important but easy-to-sidestep tasks like job costing. It’s also helped on the client side because it has improved data tracking and scheduling, so there are fewer miscommunications, he says. The company’s investment in propane mowers started gradually with a few machines after Kehne read about the fuel’s benefits, but it eventually turned into an entire fleet changeover. Although the mowers were about $2,000 more apiece, Lawn Butler appreciates the benefit of locking in fuel prices for the year (fewer surprises), reducing waste from spills and eliminating the potential for theft. Finally, investing in GPS has been a boon for Lawn Butler because it reduces liability and provides visibility for the operations staff in case the need for rerouting vehicles comes up. Along with a debt-free operating philosophy, education is a big part of the culture at Lawn Butler. President Seth Kehne says his goal is to incorporate financial training into the culture to emphasize the company’s strong position and to provide visibility into how the company works. 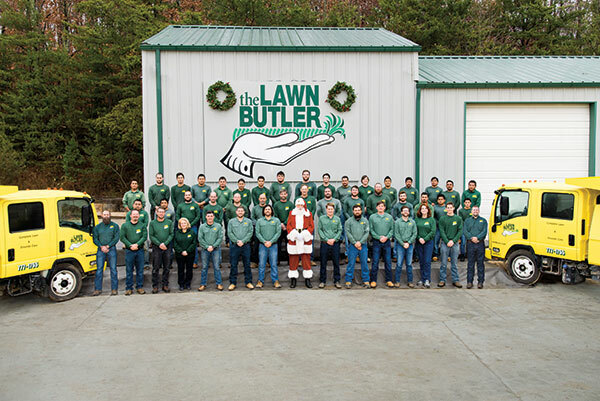 For example, last year, Lawn Butler hosted a meeting where it split the employees into groups. Each group received 100 pennies, representing the company’s total budget. “We said, ‘Alright, what percentage do you think we spend on labor, equipment, materials, etc. ?” Kehne says. When the groups allocated their pennies, the results were all over the place. The point, he says, was to have a conversation around equipment, maintenance costs and labor costs, so the team can understand the consequences of their actions. “Our hope is that by talking about finances, the guys are more focused on being better stewards of their time, equipment and everything else,” he says.